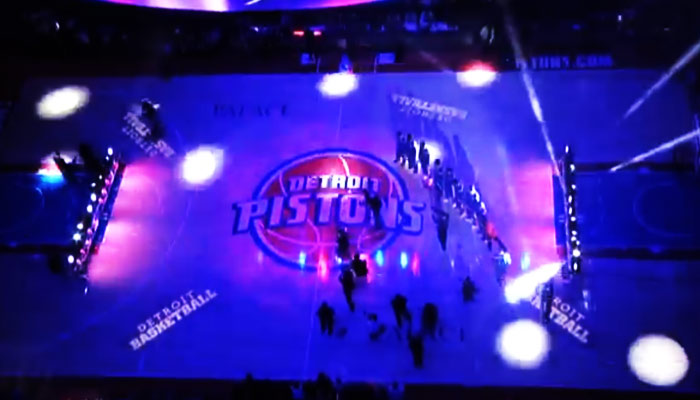 The #Pistons did what they were supposed to do on a snowy Saturday night at the Palace of Auburn Hills against a lesser opponent, dominate them. Detroit treated their fans to a 113 – 96 blowout against the Philadelphia 76ers, making it just the second time this season that they have strung together two consecutive home game victories. Five Pistons in double figures and three with double-doubles. The usual suspects being Andre Drummond and Greg Monroe, but Kyle Singler added another tying his career high in rebounds with 10. The last time Detroit had three players with at least 20 points and 10 rebounds was Dec. 3, 1997 when Grant Hill, Bison Dele and Lindsey Hunter all reached those numbers in a 108-103 win over Phoenix. Andre Drummond started the game off on a mission and really showed the league that they make a mistake no selecting him as an All-Star reserve. Drummond finished the game with 22 points on 10-if-11 shooting, with 14 boards and a ridiculous five blocked shots. Did I mention this steal for a Dummified dunk to start the second half? Don’t forget Greg Monroe who also posted big number going 8-for-10 for 21 points, with 12 boards, three assists and four steals in 28 minutes. If he ends up going at the trade deadline there will be a ton of unhappy Pistons fans out there. Drummond and Monroe were a combined 18-for-21. Great night for Singler to put up a good game. Stuckey with just eight minutes on the floor scoring just one point. Stuckey was complaining of dizziness. I so want to root for Gigi Datome, but the limited minutes he does get never seem to amount to anything. He was 0-of-4 in seven minutes on the floor. Caldwell-Pope with 12 points on 4-of-11 shooting. Looks like it’s going to take at least a full season to get his shot consistent. I do however like what he does on the defensive end. Smith, 4-of-10 for nine points and nine boards. I don’t think I’ve come across one Piston fan that can say they like him. If you’re that fan please let me know. Brandon Jennings is always looking for his shot. He was 6-of-17 for 20 points and just four assists. Bynum, who is notorious for looking for his own, had six assists in just 22 minutes. Brandon was on the floor for 37. Kid Rock and Pistons owner Tom Gores in the house. I’m pretty sure Gores does not own a long sleeve shirt. Despite Gores Always Sunny attire, he claims he understands this team needs time. Nice to see Detroit hold a team to under 100. I’m really getting to like the other Josh more and more. It’s fun to watch when they play like this, isn’t it? Monday in Miami should be different. 6 Responses to "Pistons Take Care On Business Against The 76ers"
Haven’t been on here for a while, but since you’re looking for a fan who likes Josh smith, here I am! he’s one heck of an athletic, well rounded basketball player who isn’t being used or coached correctly, in my opinion. He’s a natural power forward who should be told by his coach to drive to the basket and to never take a jumper unless it’s an emergency. He’s more than capable of making assists on a regular basis and should be told to defer to players with more consistent outside shots, no exceptions. You saw the game in which he had 22 points, 13 rebounds, seven assists, five blocks and four steals. He’s great! Greg Monroe isn’t being used correctly either, again in my opinion. I think he should be moved back to the 5, where he belongs. He isn’t athletic enough or defensive minded enough to be successful as a power forward. He should be the center for the second unit. The blame for the lack of success so far falls squarely on the shoulders of Mo Cheeks, who apparently went to the Yogi Berra school of coaching. Can you understand him? I know it’s English he’s speaking, but… anyway, I wish the Pistons would hire a coach with a proven, winning record. What’s wrong with George Karl or Stan Van Gundy? They might not be your favorite people but at least they know how to win! Playoff chances looking slim right now. 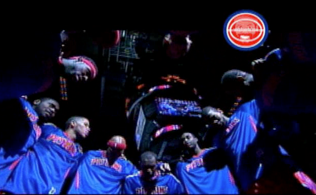 Even if pistons go 500 from this point…. this is the weakest eastern conference in the history of the NBA. In 8th place are the bobcats at 21-28 winning at a rate of 42.8%. If they continue they will make the playoffs with 35 wins and 47 losses. 47 losses! Anyway, like I said this eastern conference is historically weak. Pistons are 19-27 if they go 50% from here on out they will end up 37-45 and obtain the 7th seed. By contrast in the western conference memphis is in 8th place winning at a 56.5% rate, and if they continue this they will end up going 46-36. So in the western conference you will make it in at 46-36 and in the eastern conference, 36-46. 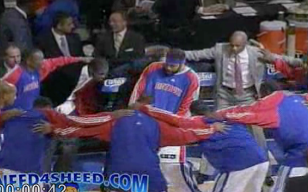 The problem for the pistons is that they win about 1 in 10 against western conference teams I don’t see that changing. If we go 50% against the east and 10% against the west, since we have 11 or so games against the west and so let’s be generous and give ourselves 2 games against the west and a bit over 50% against the east or 13 games, we’ll win 15 out of our next 36 games and end up with a 34-48 end up out of the playoffs and lose our pick to the bobcats. Right now that is the most likely thing to happen to this team. I wonder if Tom Gores knows this. Probably not he just knows business the basketball is a mystery to him. Joe Dumars certainly knows this horrible possibility is looming. We lose the pick, don’t make the playoffs, Joe D gets fired . . . well I guess there is a silver lining to every cloud. I just try to enjoy the wins and am hoping for some playoffs. If only the Pistons could go 50% from here on out, they would lock in an 8th or 7th seed, I just don’t see it happening because we have too many games against the west still scheduled. Hopefully we can go over 500 and get the 6th seed. Wishful thinking ik. Good analysis Edt. A trade can of course change all that for good or for worse, here is hoping for a better rest of the season. I would love it if we got into the playoffs. To do it I think we are gonna have to go 75% against the eastern conference, which seems like a lot I know but look at the teams cleveland charlotte brooklyn new york philly sure we can drop the games against Indiana and Miami but if we win the rest we can make it in. Would it be so bad to have the palace full and rocking?